Iker Casillas Fernández (born 20 May 1981) is a Spanish football goalkeeper who plays for and captains both La Liga club Real Madrid and the Spanish national team. In 2008 he was the captain of the Spanish team that won their first European Championship in 44 years, the Spanish team that went on to win Spain's first World Cup (a tournament in which he won the Golden Glove aka Yashin Award) and the 2012 European Championship. 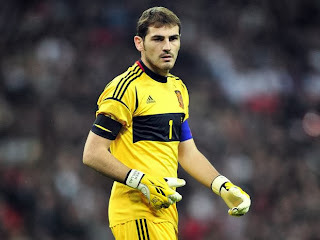 Considered to be one of the finest goalkeepers of his generation, Casillas was nominated for the European Footballer of the Year award in 2008, ranking fourth overall. At the end of 2012 he was voted into the UEFA Team of the Year for the sixth consecutive time. 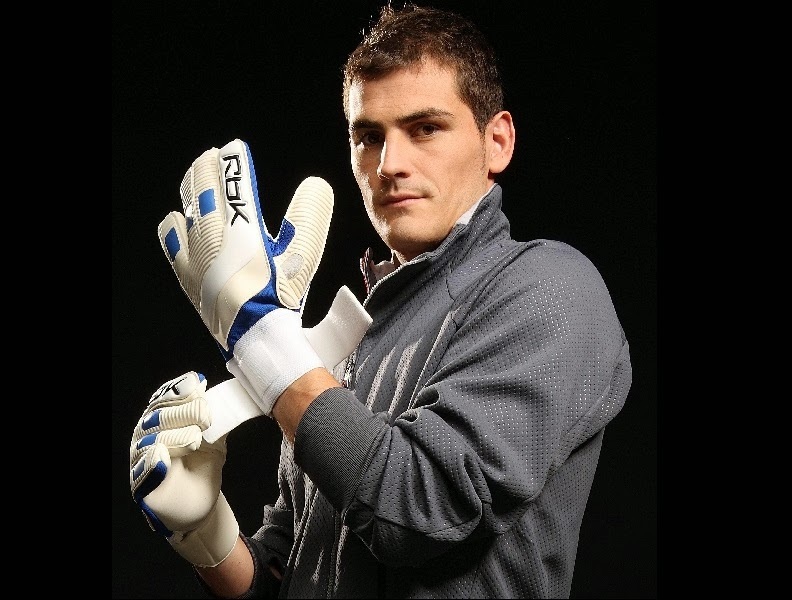 As of 2011 Casillas is one of a very select group of players who have won all major club and national championship titles. In 2010, he was awarded with the Sports Prince of Asturias Award. 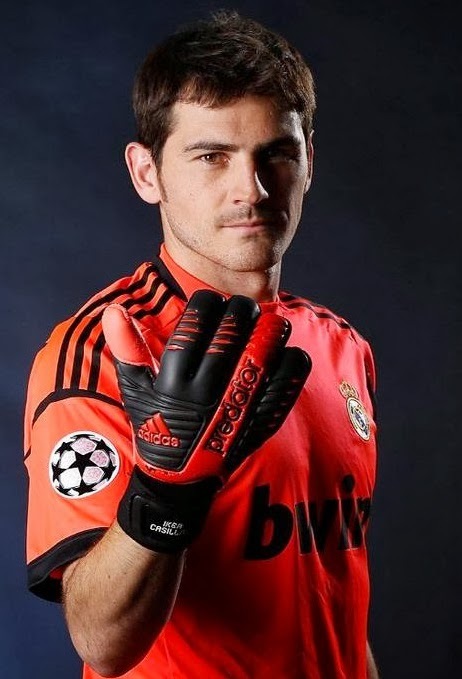 On 19 October 2010, Casillas became the most capped goalkeeper of all time in the UEFA Champions League and in November 2011, he became the most capped player of all time for the Spanish national team. 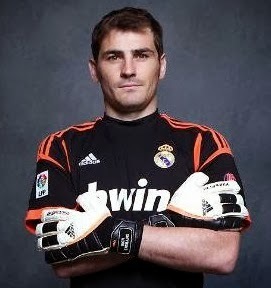 Casillas started his career in Real Madrid's youth system, known as La Fábrica, during the 1990-91 season. On 27 November 1997 at age 16 he was first called up to the first team to face Rosenborg in Champions League, but it wasn't until the 1998-99 season that he debuted in the senior side, substituting Bodo Illgner. By the next season, he relegated Illgner to the bench and became first-choice. In 2000, he became the youngest ever goalkeeper to play in a Champions League final when Real Madrid defeated Valencia 3-0, just four days after his nineteenth birthday. Casillas debuted for the national team in the U-17 level. At age 16, he was the youngest player in the Spanish squad that placed third at the 1997 FIFA U-17 World Championship in Egypt. He was later made captain of the U-17's. Two years later, he went on to win the FIFA World Youth Championship and the UEFA-CAF Meridian Cup that same year. Initially second-choice, he soon worked his way up to first-choice and eventually earned his first senior cap following some brilliant performances at club level.